Naturopathy is a system of alternative medicine based on the theory that diseases can be successfully treated or prevented without the use of drugs, by techniques such as control of diet, exercise, and massage. Below is hundred proven prescription that use of various vegetables and fruits etc. God has made an invaluable forcible in vegetables, fruits and grains, etc. Fruits and vegetables are the best treatment in their season, so use more and more. 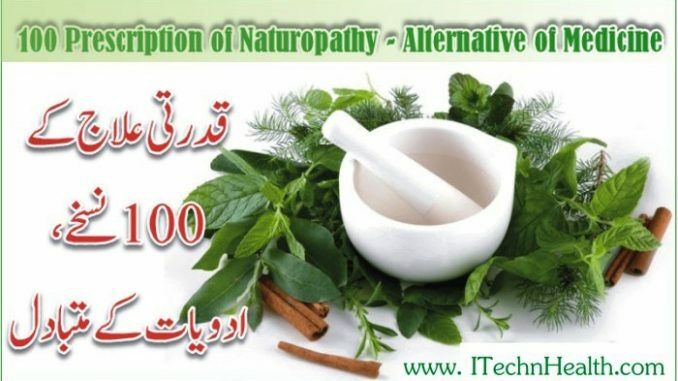 Natural therapies are compiled magic effects. Dinner at weddings are also cause disease progression. Therefore, avoid excessive eating. Hundreds of patients have benefited by following their prescriptions. With the use of these prescriptions, must consult your physician for a diagnosis and treatment of disease.